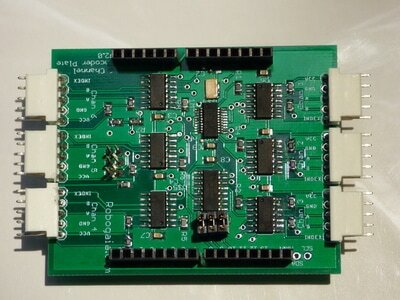 Description: This shield is a 6 channel interface for external encoders . 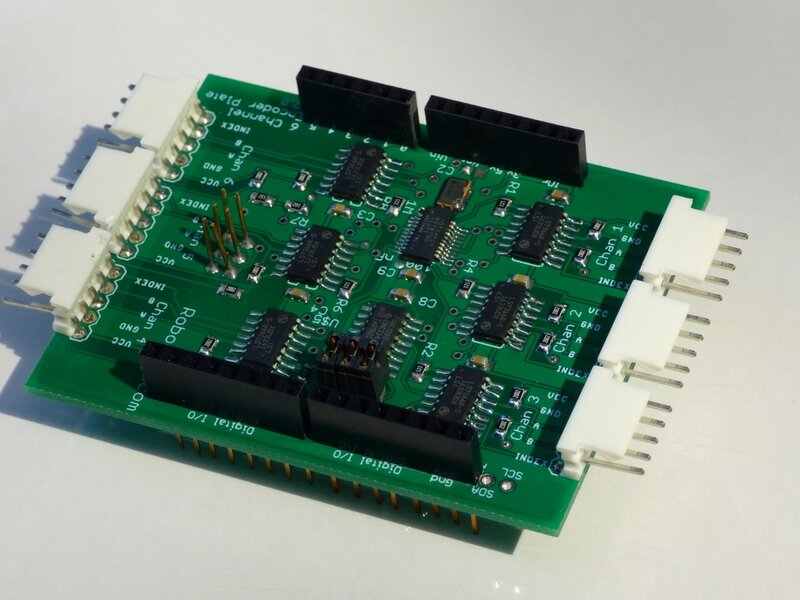 It keeps track of the pulses that are sent from encoders. 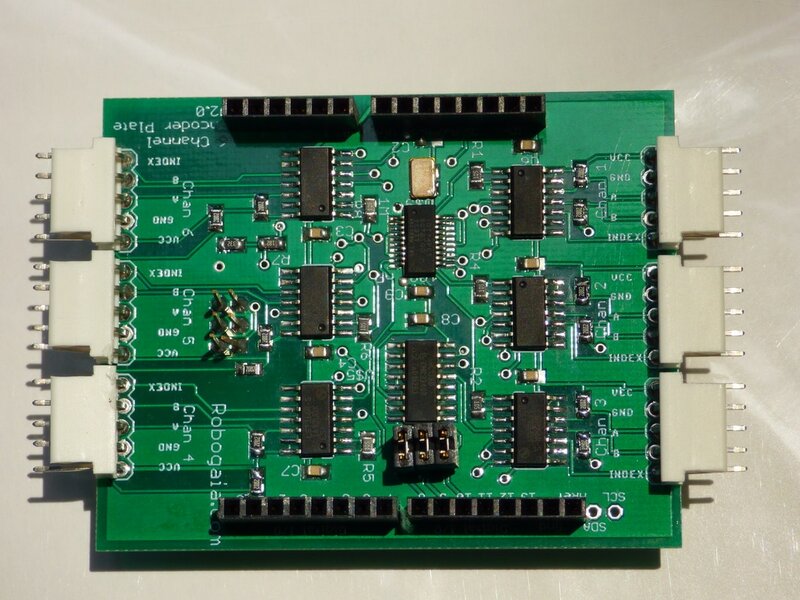 It includes example code that can read all 6 channels. The encoder connector provides 5V out. It is using only 3 Arduino pins + the SPI port pins . The Digital pins can be disconnected using 3 jumpers.